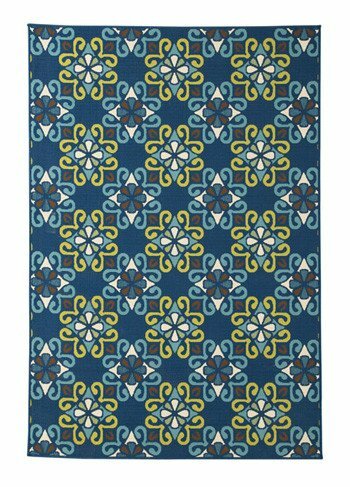 Item Description: Crisp, colorful indoor-outdoor rug in a delightfully modern damask pattern is high style with unlimited possibilities. Woven in a feel-good flat-weave for casually cool living. Series Features: Accent Rug. 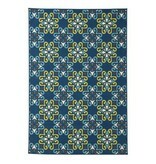 Damask Pattern in Navy, Teal and Lime Green. Indoor/Outdoor Safe. Machine Woven. Polypropylene. 4 mm Pile. Spot Clean Only. Rug Pad Recommended.